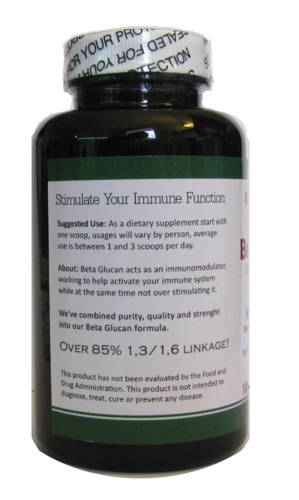 We’ve combined purity, quality and strength in our Beta Glucan formula! For maximum effect on the immune system, the daily intake of beta glucans is recommended.It is advised to take it with water on an empty stomach, waiting at least half an hour before eating or drinking again. Therapeutic values are based on individual weight, with the recommended value being 500 mg per 50 lbs. 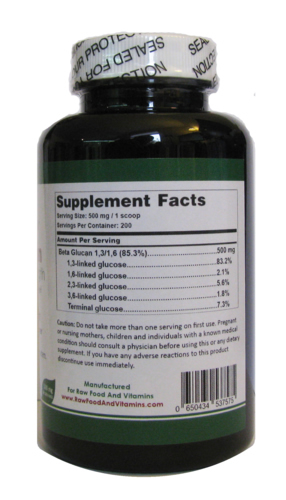 For example, a person weighing 100 lbs or 45 kg should take 1,000 mg of beta 1,3-D glucan daily.